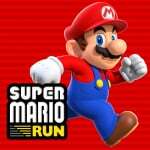 When the Nintendo and DeNA corporate partnership was announced in early 2015, the most obvious concept that came up in the Nintendo Life team's conversation was a Mario runner. It's hardly rocket science - franchises such as Rayman and Sonic the Hedgehog have had multiple runner iterations of different types on mobile. It's a go-to genre on smart devices due to its simplicity to play and - presumably - develop. When buttons aren't an option, tapping is the only logical way to play a platformer, so controlling movement is out; no, 'virtual' D-Pads aren't a valid mainstream alternative in this writer's opinion. Another reason Mario immediately sprung to mind was brand power; again, an obvious conclusion. For many, especially those with only a passing interest in and awareness of Nintendo, Mario is immediately recognisable as a mascot. His appearance, the music from his classic games, the 'Wahoo' soundbite - these are all firmly embedded in popular culture. That was only reinforced by the Tokyo 2020 Olympics committee opting to give the character a starring role in its handover video, the lead character among other iconic parts of Japanese culture. With all of that in mind Super Mario Run is no surprise, albeit its timing and manner of announcement raised some eyebrows. It emerged during Apple's latest live conference, with Shigeru Miyamoto leading the way in the unveiling; you can see the relevant parts after Alex's intro in the video below. Unsurprisingly, investors are happy nevertheless, and respected analysts are talking up its potential impact. Consider that, so far, Pokémon GO has hit 500 million downloads, breaking records along the way. Now consider the prediction that the free download of Super Mario Run (it'll be a one-off cost to buy the whole thing) is estimated by some to hit one billion downloads. GO may even get that far too, but there's no denying the fact that Mario and mobile are perceived to be a dream combination. As we suggested in a Talking Point posted just before Super Mario Run was announced - which was therefore immediately out of date in some areas - there's a sense that a number of Nintendo gamers are coming around to the idea of mobile as a potentially positive area for the company. As Pokémon GO has shown, a hugely successful app can drive interest and sales in 'main' games only available on Nintendo hardware. As marketing and brand exercises, assuming they don't offer the same experiences available on Nintendo systems, mobile titles can be powerful assets. Besides, they can potentially be fun in their simplicity or - in the case of GO - their integration with our daily lives. Certainly a decent percentage clicked on poll buttons to suggest they're relatively excited about Super Mario Run. Naturally, though, the opposing opinions are still out there - does simplifying Nintendo games down to mobile adversely affect the IP's image? It's a debate that can be argued on either side. Undeniably Super Mario Run looks simplistic, that's the whole pitch - "play with one hand" is the focus, and as a result it strips away the precision control and truly clever level design that defines the finest 2D Mario experiences. From a purist's point of view it's likely to cause - at least - a slightly uncomfortable scrunch of the nose as we see basic gameplay footage. The other side of the argument can have multiple flavours. For one thing simple and relaxing mobile games can be hugely enjoyable when the player's in the right mood; to give a personal example, a while ago I was hooked on Alto for Android, where you tap and hold as your character skis down a never-ending slope. In addition, it's simply about business. Investors and analysts are making big predictions for a reason - simple and accessible gameplay along with a huge brand can potentially take off on mobile. The numbers for the initial free download could be enormous, though how many of those then buy the full game may depend upon Nintendo's pricing. In any case, as Nintendo prepares to unveil and then release the NX, while also stretching out the lifespan of the 3DS, it can benefit from all of the column inches and brand awareness it can muster. The gaming market is incredibly crowded and downright messy right now. Just consider that in the latter half of this year we'll have seen the hardware releases of Xbox One S, PlayStation VR, the 'slim' PlayStation 4, PlayStation 4 Pro; add the NX reveal (presumably) to that list as headline grabbing events. The dedicated gaming space is a little crazy at the moment, and Nintendo needs to get attention any way it can. After all, it benefitted from the Pokémon GO craze despite not being the actual developer of the game. From various perspectives Super Mario Run has been inevitable, and its sudden appearance this year also ticks a lot of boxes. Nintendo gets headlines, quite possibly a bump to its profits, and major brand awareness for Mario. All of this can feed into helping with the extended life of the 3DS and, of course, the launch of NX. It's no coincidence that Super Mario Maker for Nintendo 3DS is coming in early December for 3DS, the same month as Run arrives on iOS. The great Mario push could even extend to the NX launch library; various rumours and reports for quite some time have speculated on an NX version of Super Mario Maker, while an all-new Mario game to help launch the system seems just as feasible. This Mario runner was always going to dash into view; at least now we know when it's happening and what it looks like. Ultimately, if Nintendo wins with Super Mario Run then, by extension, we should all win as well. I'm not going to start a "Why iOS first" debate here. But sincerely, I can't wait to see this on Android. Regardless of the OS, the game looks great. Nothing new but Mario's take on the runner genre keeps the series' look and feel. I'm already calling it a success unless a MAJOR surprise in the final product, like lives, energy or something like that. Very well said. Your ending sentence sums it up perfectly. Pokemon Go made it old Pokemon games spike in sales & served to remind many the power & appeal of Nintendo's varied characters. It was a loud alarm bell to many long gone ex Nintendo fans. It called them back, much due to the pull of Nostalgia, that quite frankly Nintendo owns more than anyone in this businesses. And let's not forget, it IS a business. Now we're getting the #1 video game mascot in existence, who will no doubt blow away Pokemon Go stats & the nostalgia will lead to a Mario sales spike. The mini NES will add to this nostalgia feeding frenzy. With the Big N in many more headlines now, the NX will benefit from this and should get much more press than when the Wii U launched. If they can add some desirable Mario, Pokemon & Zelda games, the release of the mobile apps & Zelda Amiibos will all combine to push the NX forward, as Nintendo remains in the headlines. Nintendo just needs good software and a great NX system to capitalize on this and I truly hope they're aware of it. The one angle I disagree with is the notion that all this brand awareness on mobile will actually "convert" or otherwise steer these users over to Nintendo's dedicated offerings i.e. NX. I just don't see Nintendo's core products gaining much more than GCN like sales numbers going forward, and Nintendo moving more IPs over to mobile partly sees the writing on the wall as well. PlayStation/XBox are king, and mobile is king. Nintendo is simply left with getting in where they fit in. They peaked with Wii and Wii Sports and DS. Since then it's been one hell of a free fall from relevancy until Pokemon GO which ironically doesn't have that much to do with the company financially. Loved Iwata, the person. But man he didn't capitalize on Wii/DS at all. I genuinely believe they're going to do a great job with SMR. Miyamoto (from the presentation) seem to take "Mario with one hand and one button" as a design challenge. The man is a genius. I believe he likely has created something magical with this. If it's good, if we aren't nickle and dimed with IAP, and if the company continues to focus on great console experiences, I'm struggling to see why anyone would be angry about this. @Nik-Davies sad for the NDF, maybe. Me, i welcome ANY Nintendo success in ANY form. They could use a lot of it at the moment. Releasing the app is a smart move. It'll get a lot of people playing Mario again, which will increase Nintendo's awareness and branding. I dislike the exclusivity with Apple, but that might work out great for Nintendo. Having the reveal in Apple's conference has created so much publicity for the app. @Muddy_4_Ever i wouldn't say "magical" persay, but yeah. Games and gaming styles like this is much more Miyamoto's wheelhouse, if you will. Keep him away from AAA home console efforts (Star Fox Zero anyone?) and he should be good. Simple, slick, pick up and go gameplay is his bread and butter. Brilliant! What would my childhood be if There is no Nintendo. Im 26 and Still thankful that Nintendo is keeping my life enjoyable. Long live Nintendo! I can't believe they ever contemplated releasing Animal Crossing or Fire Emblem before Mario. I bet this was planned from the beginning. This should be good as long as it captures enough of that Nintendo magic. Anyways, I tried the Sonic runner. It was fun but it didn't hold my attention so maybe I'm not missing out on much. I still want to try it though...well maybe I shouldn't bother if iOS will always get their stuff first. Which will probably happen. Ugh. Nice write up, put yesterday in an amusing light. What we all knew was coming, whether we wanted it or not. "and Nintendo needs to get attention any way it can." Well there is supposedly this thing called NX we don't know anything about, launching in 7 months, maybe shedding a little light on that could get them some attention? Probably not as much as selling out to Apple, if you want attention, Apple's stage is probably the place to be, and they probably made some money in the process, and they will make more undoubtedly as well, but my reaction is Luigi's reaction here, presumably backstage at the Apple event. I'm assuming we all know what a female dog is called. And as someone who owns a Wii U, not since Day 1 but since Pikmin 3 released, which was a "launch window" title, so close enough for Ntinedo, close enough for me, I haven't been feeling to great about that lately. The 3DS ND was a nice run over, Nintnedo all but telling me buying a Wii U was a mistake. But now, w/ barely any Wii U games on the horizon, and 3DS getting new games and Wii U ports, Miyamoto has time to make a Mario game on iOS. Gee, thanks for letting me give you my money. Nintneod has obliviously woken up and smelled the coffee, mobile and merchandising is where it's at. Merchandising nostalgia. This summer's Play Ninteod Mall Tour was big on 3DS games, no Wii U games, but Van sneakers and clothing were there. And the NES Classic Mini, b/c nostalgia is an inexpensive way to make money. And you know what, good for them, that's great. Making money is good, keeps them in business. But if they want anybody to buy an NX, they should show it. And if it's another home console, they should show Wii U some more games, b/c everybody can see how the end of the Wii U's life is playing out. I can't imagine why anybody would buy another Nintnedo home console. And if they stop caring about Ntinedo consoles, they might stop caring about the IP too. Show some Wii U games, show the NX, or go 3rd party. Simple. "Why would I buy a Nintendo console when I can play Mario on my phone?" The absolute only thing this game will accomplish. @A01 if only more people thought like you. @A01 Nonsense! - " I really enjoyed playing Mario Run and Pokemon Go on my phone - they were both great games! And it was really cool to see a highly polished game such as Mario Run! Where can I get my next gaming fix? Oh! I can buy an NX or a 3ds! . . and as for that NX advert that comes up at the end of playing Mario Run? Well. . . ..
@Nik-Davies Once they have all those people downloading that maro run, they can advertise the nx and perhaps influence people being more interested in a more dedicated gaming device. That's a lot of free, right to people advertisement right there! @cfgk24. People do not seem to realize this isn't the holy grail of gaming. It's the bait to lure them in dedicated gaming devices perhaps. I saw the argument that people will leave the consoles in favor of the mobile game. I think this is false. This is only Mario. Yes he's the biggest name in Nintendo, but hey, you have way more offering on the console. Plus this is a runner game. Name me a runner that made you buy a console? None? Then why would it remove NX (or any console) sales? The facts that it's not an ENDLESS runner, and that it's not a truly F2P game, mean that I'm actually a bit interested in this. We all know speedrunners are going to lap this up. Expect many youtube posts. I can even see challenges of doing courses holding the phone behind your back. Overall I see this a being positive in most respects. It's a simple runner game that's perfectly suited to mobile—I'd much rather this than a game that forces virtual d-pad and button controls on these platforms that just aren't suited to them—and it gives Nintendo a chance to put its main character in front of even more consumers. And, I'm optimistic it won't have any major impact on the full Mario games coming to Nintendo's dedicated platforms. So, for now at least, I don't have any problems with this game. I just wish I could try the demo when it arrives, but my iPhone 4 sadly doesn't work with most new games now. That's Apple's fault, not Nintendo's. Meanwhile, Michael friggin' Pachter was on NPR this morning bashing Nintendo on using the "old, failed model" of charging people a one-time price for this game. Nevermind the fact that the initial download is free, and as you can see time and time again, getting more feet in the door for free is the first step for making the big bucks in the mobile arena. I personally can't wait to see what he says when Nintendo's revenues smash Pachter right between his bespectacled eyes. I know I'm the odd-(wo)man out, but the only music I am hearing is 'it's the end of the world as we know it'. And I'm not feeling fine. @A01 yea. You should enjoy it on your phone. I'll enjoy it on console. "The gaming market is incredibly crowded and downright messy right now. Just consider that in the latter half of this year we'll have seen the hardware releases of Xbox One S, PlayStation VR, the 'slim' PlayStation 4, PlayStation 4 Pro; add the NX reveal (presumably) to that list as headline grabbing events. The dedicated gaming space is a little crazy at the moment, and Nintendo needs to get attention any way it can. After all, it benefitted from the Pokémon GO craze despite not being the actual developer of the game." That's a very good point, and it's probably just as well you're writing the article and not me. I'd just have a petulant winge in the corner. I'm still quite taken aback by the general "Pokémon Boom" generated by GO! (and I don't mean they inexplicably gave all the characters running tape), which brought ORAS out of retirement and turned the clock back to the 90s. If Nintendo can generate a decent wave of Mario Mania running up to the NX, that can only be a good thing. The iPhone app does a good job of providing something that is definitely Mario, but is a long way from replacing the experience offered by the main games. Did people think, "why would I play Pokémon on the 3DS if I can play it on my phone"? No. A lot of people went out, bought the 3DS versions and then played Pokémon on both. Anyway, good article. Let's hope the mobile thing can foster the NX rather than kill it. GO! certainly didn't seem to do the 3DS any harm. Hope Droid users don't have to wait too long. I don't game on my smartphone, like at all. I have no desire to play on it... but I'll be getting Super Mario Run when it comes to android, no doubt about it. I was on my break at work & just finished reading Nintendo Life's Talking Point... literally twenty minutes later this was unveiled, it was a little surreal lol. So I'm looking forward to this Nintendo, sure, but I'm counting on the quality, proper Nintendo gaming experience continuing on proper, dedicated Nintendo hardware. @k8sMum love that song, amazing live! I will get this when it comes to android but not too excited about it. Should be a success and seems the right way to make a mobile game. Nintendo really will need to change the art style if they release a new 2D Mario Bros. game on consoles though because the one they're using lately has really been overused now. The Wii U (and Wii brand) has long sunk into a swamp of irrelevance. So this is a simple, effective way for Nintendo to become relevant again. @Mayoo People are already leaving Nintendo consoles, they don't need mobile games to inspire them. And now that Apple and Nintendo are in bed together, I doubt all the positivity bleeding from this post will change the reality of what is really happening here. The people who are saying this is a blow to Nintendo's dedicated hardware seem to completely ignore the fact that Pokemon GO! was actually a positive move towards 3DS sales! I have bought Wii U last April 2016. I still play some Nintendo consoles. I think i have helped Nintendo a little bit. Donate money in April 2016 for a good cause. And that way, you helped a little bit. I'm hoping Nintendo has a fabulous Q4 this year. With new Pokemon games, Mario Run, new amiibo and the NES Classic mini edition, sales could be really strong across multiple revenue streams for Nintendo. Perhaps Mario Run will also get people to consider picking up a full game for a fix (New Super Mario Bros 2?). I will always be a Nintendo fanboy first but the company has been stumbling for years and I hope they can turn it around. I really want to enjoy Nintendo past and future with my son as he grows up. All this positive media coverage could help the NX launch well but I'm worried about the NX. It's crazy to reveal it a few months before launch. I'm very curious to see how Nintendo handles this. Mario Kart for mobile could be so huge. 4 courses, 8 riders and online connectivity. Price it at like $6.99 (just a random price guess) and I bet it would sell really well. I'm happy that Nintendo is getting some wins in the mobile department, but I'm kind of scared that they will be so successful that the NX and the 3DS will be playing second fiddle. @ironside1911 "2016 and people are wondering whats wrong with the world... "
I'm pretty sure internet trolls are near the top of the list. Funny. No one seems to remember Nintendo Direct a week ago. Isn't the Mario Maker 3DS coming out at the same time as Super MariOS Run in December? @gatorboi352 Except that the brand awareness from mobile actually has "converted" mobile gamers to Nintendo platforms. Just in the US, 3DS hardware sales in July 2016 spiked up like 80% year- over-year thanks to the release of Pokemon Go. Pokemon OR/AS and X/Y sales also saw similar increases. I's pretty sure you 3DS hardware and software sales will continue to see improvements in August, September, and the holiday quarter. I'm also pretty sure that that sales of the Mario games on 3DS this December will see improvements over previous years thanks to the release of Mario Run. The only thing that remains to be seen is if the NX is appealing enough to continue the success of the 3DS (and Nintendo's handhelds in general) or not. I'm sorry but you all are clueless if you think this Mario game will have the same impact as Pokemon go. They brought out a 2DS model at $80 and they also brought out a new Monster Hunter. It's tough to get information from NPD, but from what I understand July sales were up 39% from June (month over month instead of year over year) because the 3DS had been performing better this year. From what I can gather total sales were about 160K-170K for the 3DS in July. That's kind of a drop in the bucket when you consider The 3DS has sold 60 million life to date. This and Pokemon Go has been probably one of the top 10 game apps in popularity ever created. So create 1 of the top apps ever and maybe see a cumulative 1 million bump in console sales doesn't seem that significant to me. At least not any more impact than a hit game. "While Nintendo didn't disclose exact figures, it noted that sales of the 3DS skyrocketed up 80 per cent compared to July 2015. It's worth noting that this includes all models of 3DS: the original, the budget model 2DS, and the premium Nintendo New 3DS." In case youre wondering the source, thats eurogamer (but just by using google you will find any source of your choice) ...Claiming that "Pokemon Mobile" is driving any significant 3DS sales makes even Nintendo laugh, i guess. You should also mention that the "stats" include the 2DS with a bundled Mario Kart 7 for 79.95 which Nintendo said themselves ..
@cleveland124 It seems like a "drop in the bucket" because July and August are historically the slowest months of the year for the video game business. (In the US, Madden is typically the 2nd-3rd best selling game of the year every year and is released in August, yet Xbox One and PS4 hardware sales are still slow) What will matter more is how much the 3DS will sell in the coming months (September-December) and how much Mario Run will influence the sales of Mario games on 3DS come December. @ironside1911 Yes, the sales of the 3DS family (including the 2DS) went up 80% YOY. I know Pokémon Go helped drive sales because not only did 3DS/2DS hardware sales spike, but Pokémon software sales (OR/AS/X/Y) went up by a lot as well despite being 2-3 year old games. The 2DS price cut definitely helped as well, but the impact would have been FAR less had Pokémon Go not been released. I am trying to argue against the idea that people will look at Nintendo/Niantic's mobile offerings and be inclined to NOT buy a 3DS or whatever hardware Nintendo offers in the future, because that simply hasn't happened. Rather, the opposite has occurred. @ironside1911 This is not "Nintendo all the way". This is looking at actual sales data and trends to make a educated prediction. If me saying the words "can guarantee" annoyed you, then fine, I apologize for my choice of words, but don't disregard everything else I posted and sarcastically mock me as if everything I wrote was nonsense, even though it is barred entirely on facts and data. Although casuals don't think the way "core gamers" do, I don't see this helping Nintendo hardware sales. Of course, I could be wrong, and I hope I am. I will give Nintendo this. This concept is far better suited to mobile gaming than lazily porting a console game to mobile phones. It's like people just miss the point about what makes those games fun and playable and I don't understand anyone who uses this logic. Sticking a touch controller isn't going to make the console-to-mobile port "better". The controls become intrusive and get in the way of playing. Not to mention being inaccurate most of the time. Oh he's back is he? I feel like he's been quiet for a while. I doubt I'm alone in being really pleased about the pricing model Nintendo have gone for. I'll buy games on mobile for a good-value, one-off fee rather than IAP. If Nintendo can do something a bit different with this, even better. I'm sold. According to the Apple App Store, it is though I suppose it depends what model you're on. I've got a Mini 2. If its really i-phone-only then its another bonehead move from Nintendo. I also wonder how it will sell. Miitomo and Pokemon Go where free-to-play, but here the full game (Mario Run) has a price-tage. I wonder how much it will cost, and if people are willing to pay it. If Nintendo asks 10 or 15 Euro I don't see many people buying it. By the way: Is this another download without DENA?! On a sidenote: Some people predicted that Nintendo would redefine mobile-gaming. But here they come with yet another runner. As if there aren't already enough runners on mobile-phones!! Seriously, the only platform experience that is great with touch-only inputs, are runners. So obviously Mario for mobile would be a runner. As I have predicted before. There are already excellent runners on mobile, like Rayman Jungle Run, Subway Surfers or Sonic Dash. It will be interesting what new stuff Nintendo can bring to the table. Right now, ‘Super Mario Run’ looks like a total ‘Rayman Jungle Run’ rip off. And it doesn't even look better or more interesting. It’s Mario though, and it will sell well. But i can’t really see what new Nintendo is doing here. It will be interesting to see, if there is anything special about this game. But hey, all Android users itching for some ‘Super Mario Run’, just go grab ‘Rayman Jungle Run’. It is probably even a better game? A billion downloads, sure, but only with the help of Android. Jungle run did look nice to me, but of course that's also YET another runner. With recycled graphics. All runners are not the same, and all have there own unique feel and mechanism. Rayman Jungle Run is a particular well done runner, with some really great levels and art style. ‘Super Mario Run’ has to be fantastic, to take the title as 'best runner'. I really encourage people to try Rayman Jungle Run, if they haven't yet. But I really hope that ‘Super Mario Run’ is just as good, if not better. I just can't see it yet. At least I still pay attention to Nintendo. @Henmii It's not a bonehead move, since iOS is a true closed system, so they get a guaranteed Income. Android sadly is infested with hackers. First thing what happens is that Super Mario run gets scraped from Google play store and put on unofficial android stores and torrent sites for free. Nintendo is a business and they want to make money and you can guarantee that Apple paid Nintendo generously for the exclusivity deal. Pokemon Go has been downloaded over 100 million times. Way less than 1% of those have turned into console sales. Not a high ratio to me. @gatorboi352 3ds sales and Pokemon games went up in July. If I recall, the 3ds was the top selling system in July. If they do this correctly, I absolutely think this can help console sales. @cleveland124 They have just delved into this. I'll bet Sony or MSFT wouldn't mind way less than one percent of 100 million in just a few months. @cleveland124 The fact that 1% of that Pokemon Go userbase decided to go spend $80- $200 to buy a 2DS or 3DS and another $40 to buy Pokrmon OR/AS in perhaps one of the two slowest month of the year (the other slow month is August) is quite impressive. Comments on this site would like you to believe that Pokemon Go's existence would hurt the 3DS, but that clearly hasn't happened. What will matter more is how much the 3DS will sell in the coming months (September-December) and how much Mario Run will influence the sales of Mario games on 3DS come December. They may have just delved into it, but Pokemon Go is about the high point of what can be expected from mobile. Miitomo generated no interest. Fire Emblem is likely to generate no interest. Mario could be as big as Go and it depends on what they do with Animal Crossing on if that will have an impact. So my point is there likely isn't going to be a game they can bring to the market that does any better than Go. And there are lots of unanswered questions. What would have happened if Nintendo used those resources to instead create a console game? Mario Kart 8 increased console sales by 700%. Mario Kart 8 generated over 400 million in sales revenue. Mario Kart 8 played to people who didn't own a Wii U as noted in the large sales increase and also people who did own the Wii U as it had a tie ratio of over 1/2. What did more for Nintendo, Mario Kart 8 or Pokemon Go for console sales? A hit game seems like it does more to me. Nintendo went mobile and that's okay. Pokemon Go drove some people to consoles and that's okay too. Nintendo needs to improve on several fronts so having this focus with the NX coming up isn't a bad thing. But it's no saving grace either. If they had a huge mobile presence and Wii U sold 5 extra million units does it matter much? I don't think it does. The Wii U would still have been Nintendo's worst selling home console. Sales wouldn't have been good enough to keep third parties on board. So I'm far from the Pokemon Go is evil crowd. Getting people interested in consoles is great. But unless Nintendo can back up their consoles with compelling software it's ultimately meaningless. I feel my above responded to you but I did have one other thought. The 3DS failed at $250 but succeeded when the price was cut to $170 because I believe the handheld market is very price sensitive. So it's great that some people are picking up but will it move the $300-400 NX? Because Nintendo's focus will soon be on selling that. @cleveland124 If the NX is a handheld or portable, there is no chance or will be $300-$400. But your are right, the handheld market is pruce sensitive. A $250 3DS wouldn't be selling well even if Pokemon Go was on the market. I swear phone wars are worse than console wars. Android users: you know this is a timed exclusive. Countless eyes (including people that dislike Apple) are on the Apple conferences; this is a great and easy way for Nintendo to make the announcement to a really wide audience and generate buzz. Nintendo is not out to besmirch your honor. You will get the game sometime next year. Let it go. Well, Apple did announce their partnership with nintendo, so they have that going for them. The success of Nintendo franchises on mobile really shows how much of a discrepancy there is between the appeal of their software and the appeal of their current hardware. I still don't see how the mobile success of games like Pokemon Go or (potentially) Mario Runner will translate into significantly more console sales... For most people, it's just going to mean more reasons to only play games on your phone. Maybe it's easy to forget that as gaming enthusiasts, but it's unrealistic to expect the general market to operate as we do. Well, Apple most likely paid Nintendo so well that Nintendo just were blinded by the money and not give the games global unified release. The Mario spinoff Rayman copycat game looks quite boring also. I expected it to be nothing special since the whole point is to bring more people to Nintendo's platforms from mobile and not nice versa. The game looks like a reskinned Rayman mobile game with NSMBWii graphics. Shame that also Fire Emblem and Animal Crossing games will follow the same route of being bought to appear first on one platform only. Still for people's sake, I hope the exclusivity period is only something like one month. But Nintendo hasn't even now released Miitomo globally, so I'm not holding my hope that they would handle this mobile games initiative any better. You are right about the hackers, and of course Apple did pay them generously. However, if they want to reach as much phone-users as possible they shouldn't leave Android-users out. Though I heard something that they might release it on Android next year anyway. But back to my point: If I wanted to follow Nintendo's mobile-games, then I don't want to buy several different phones for it. Those games should be available on EVERY phone! @Henmii And they will. Nintendo pretty much confirmed that Super Mario Run will also launch on Android sometime next year. Just see it as exclusive deals on PS4 and XBoxOne. "Well yes. But if you are cynical, you could say the same for all traditional platformers as well"
Yeah! But I still think Mario turned into a runner: Soooo unoriginal. I mean, 99,9 of all the mobile-phone platformers is a runner! Surely they could have done something a little bit different?! "Just see it as exclusive deals on PS4 and XBoxOne"
That's a joke, right? Nintendo franchises won't happen on Sony/Microsoft devices (minus windows-phone, perhaps). What is there to be joked about? Apple paid for an exclusivity deal for Super Mario Run, so it will be exclusive for iOS for a specific amount of time. This can be in the range of 3 months, 6 months or even a year, depending how much Apple was prepared to pay for the exclusive deal. At this moment we don't know how long the exclusive deal lasts, as all Nintendo said is that Super Marion Run will be released on Android sometime next year. Which can be anywhere in the range of March up to December 2017. @cleveland124 it will be interesting to see how Pokemon games sell, as well as 3ds and Mario Maker from Nov.-Dec. I think this news is fairly encouraging. It looks to me like they have some sort of plan and they aren't just relying on people buying just b/c it's Nintendo. As far as Miitomo- I saw that as just a test run into mobile to work out issues/just give it a try. While I agree that Fire Emblem won't be as successful as Pokemon, I still think has a chance to be fairly impressive and might also sell more hardware, create more fans etc. Nintendo isn't going to be fixed overnight, but they are moving in the right direction. Would you have thought that Pokemon Go would be such a big success six months ago? @rockodoodle I'm talking long term, trending up type of sales. As in, a turn around to the previous generation as a whole. @gatorboi352 If Nintendo plays their cards right, I absolutely think that they can turn things around from the previous generation as a whole. Before, they were just releasing things here and there with no strategy and next to nothing as far as marketing. Going mobile like this serves as marketing to a degree and if executed correctly can even be profitable instead of an expense. I think they are off to a decent start.